WESTON provides groundwater baseline water quality monitoring services in accordance with the sampling and analysis procedures (SAP) required for all oil and gas operators and their contractors per Chapter 3, Section 46 of the WOGCC Rules and Regulations for groundwater baseline sampling, analysis, and monitoring program, as of March 1, 2014. Baseline monitoring can be a valuable tool for the oil and gas drilling industry as well as area residents. By utilizing the experience of a third party consultant that specializes in hydrogeologic studies and water quality sampling for small water systems and private well owners. Baseline testing is a key opportunity for a producer to build trust in the community. While at the same time attempting to mitigate risk by documenting pre-existing conditions. • Prior to releasing the data, the certified laboratory must validate and review the data, plus work with the third-party professional to confirm or check the reliability and validity of the results. As part of our baseline groundwater monitoring services, WESTON will prepare the Baseline Groundwater Sampling, Analysis, and Monitoring Plan that is required to be submitted with the Application for Permit to Drill or Deepen a Well (APD) beginningMarch 1, 2014. The baseline groundwater monitoring program will consist of initial baseline water sampling and testing followed by a series of subsequent rounds of sampling and testing as necessary after setting the production casing or liner. As part of the initial phase of the baseline monitoring program, WESTON will determine potential sampling locations within a one-half mile radius of the location of the proposed oil well, gas well, or dedicated injection well in accordance with Chapter 3, Section 46 of the WOGCC Rules and Regulations. 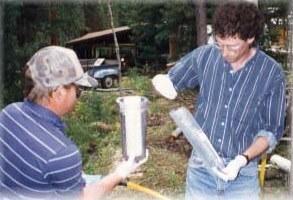 In order to evaluate which wells will be most suitable for sampling, WESTON will conduct a brief site-specific hydrogeologic study using available literature and water well data obtained from the SEO on-line database to obtain information on the water wells and the likely aquifers that are targeted by the wells in the vicinity of the proposed oil or gas well. These data will be used to determine the likely hydraulic gradient in each of the aquifers to identify upgradient and downgradient wells that may need to be sampled in accordance with Chapter 3, Section 46. Next WESTON develop a site-specific SAP in accordance to the requirements and protocols outlined in the sampling and analysis procedures provided in Appendix K of the WOGCC Rules and Regulations. The SAP will provide a detailed sampling and reporting schedule that will be carried out by WESTON as part of our services, once the SAP is approved. WESTON will provide all services required for determining water wells to be sampled, contacting well owners, and coordinating all sampling and analytical services. We will coordinate with the analytical laboratory and prepare all required reports for each sampling round. WESTON will use the analytical services of Engergy Laboratories (ELI) in Casper or Gillette. ELI has developed a package price for analysis of the baseline water quality samples. WESTON has worked closely with ELI for many years and as a result we have fostered a relationship based on trust and excellent communication. WESTON is intimately familiar with accessing the SEO online database and evaluating the information provided therein. We utilize the database on a daily basis as part of almost every project that we complete. If the necessary data is not available on-line we are easily able to access the paper files at the SEO in Cheyenne. In addition, we have a vast library of geologic and hydrogeologic resources that we can utilize to evaluate the geologic and hydrogeologic characteristics of a site. 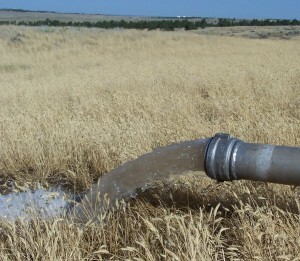 This information will be vital in determining the aquifers that are targeted by water wells in the vicinity of the proposed oil or gas well to determine how many and which water wells are suitable for sampling. WESTON will also initiate communication with the water well owners if required by the client in order to obtain permission to sample the wells. 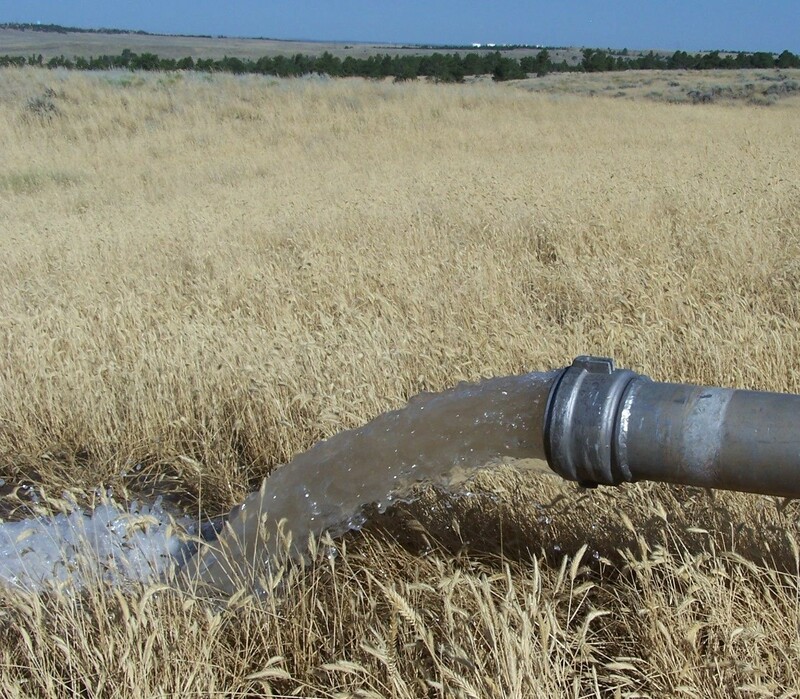 WESTON has provided similar services to many subdivision owners, private well owners, small water systems, and municipalities throughout the state of Wyoming. We routinely collect water quality samples from wells in order to evaluate the water quality as part of our well evaluation services.